What is the WBECS 2018 Summit? 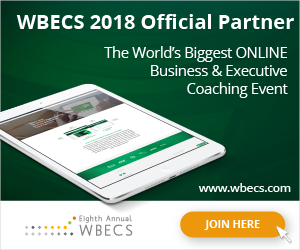 WBECS Summit is the largest online gathering of business and executive coaches in the world. thought leadership to raise the global standard and ethics of coaching. of the highest caliber covering a variety of topics, focus areas and coaching disciplines.